Hippity Happity Hoppity Monday to you! I am sharing a pair of Easter cards I created using some pretty downloads from Polly's Paper Crafts (who so graciously sponsored us last month) and products from the RRR store. 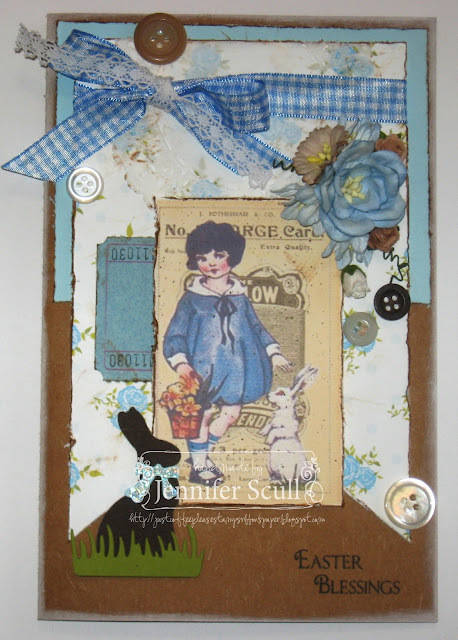 I used images from the Easter Kids Button cards, distressing the edges. The blue card is topped with 5/8" bluebird gingham plaid ribbon tied in a bow with the delicate Sharon crochet lace. The pink card uses Sherbet Delicate Stitched Satin ribbon tied with the same Sharon crochet lace. I also added the gorgeous WOC Magnolias, Aster Daisies, Open Roses, Cosmos, and Sweetheart Blossoms for a lovely floral touch. If you would like more detailed information about the cards, please head over to my blog, "Just Coffee Please..."
Have a most fabulous week! 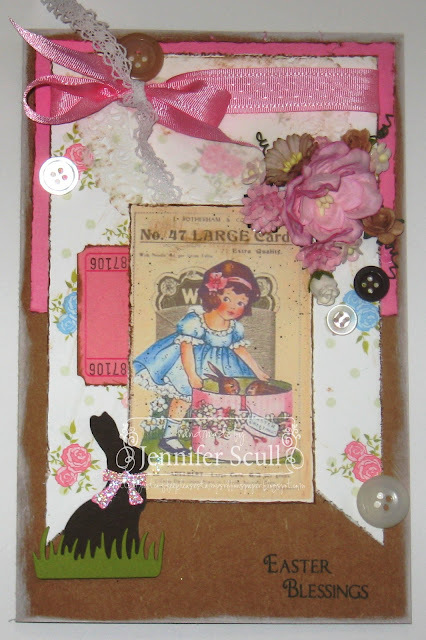 Very cute pictures and the lace with the ribbon are gorgeous together. These are cards are just gorgeous Jennifer. 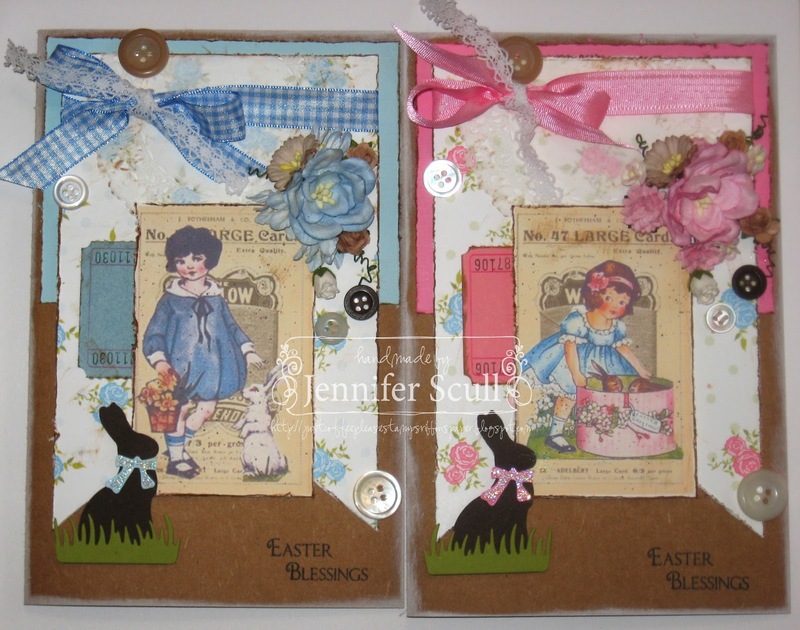 I love the flower paper and the little vintage images are just adorable for Easter. Thank you for sharing.